Scroll down for an inside account from cannabis business executives pioneering the state’s new adult-use market, which Marijuana Business Daily estimates will generate at least $4 billion in annual retail sales in several years. Click here to read Part I, here for Part III and here for Part IV. Keeping up with seemingly steady customer demand for recreational marijuana. “I’ve been working 14-hour days for probably at least 14 days,” Kimberly Cargile, the CEO of Sacramento’s A Therapeutic Alternative, a medical and adult-use retailer, said on Thursday. She said her biggest concern as rec sales began in California’s capital city was employee burnout. “I’m thinking of reducing our Weedmaps exposure,” Cargile said, adding that her employees weren’t accustomed to the volume of customers they saw in the first four days of 2018. Before the new year, Cargile said, her dispensary averaged 100-150 people a day. That number increased over the last three days of December, when A Therapeutic Alternative processed over 200 customer transactions per day. On Jan. 1, the shop recorded 382 customer transactions. On Jan. 2, it was 374. On Jan. 3, transactions dropped to 287. On Jan. 4, however, the retailer’s transactions jumped to 304. In the Bay Area, Oakland’s Harborside was running into problems of its own. 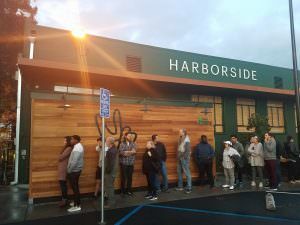 Customers wait in line to enter Harborside in the early evening on Jan. 4. Andrew DeAngelo, the dispensary’s co-founder and general manager, said that roughly $1 million of wholesale flower was stuck on the Harborside farm in Monterey County as of Jan. 4 – when the store literally had a line of customers out the door. The holdup? County authorities had yet to sign off on paperwork to finalize the farm’s state business permit. Without that license, Harborside was unable to legally transport the flower to its Oakland shop. “I cannot take it off the farm. Monterey has not acted,” DeAngelo said. “It’s all ready to go. He said he’s not worried about an inventory shortage at Harborside – unless county officials continue to drag their feet. Joe Gerlach, the founder of Oakland-based edibles maker Korova, may be a poster child for the California cannabis industry’s overall attitude. “We’ve been thrown more challenges than this in the past,” he added, referring to the tumultuous business atmosphere for legacy companies like his 7-year-old business. Korova – and plenty of other longtime California cannabis entrepreneurs – have survived far more uncertain times when law enforcement raids were much more common, Gerlach pointed out. “The regulations are a bit much,” he said, “but it’s still better” than operating in the gray market. Korova, like many other companies, is still pivoting to the new landscape. Korova used to make 1,000-milligram, THC-infused brownies. But, because of California’s new 100-milligram-per-package limit for edibles, he’s had to discontinue that product and shift to lower-potency goods. Interestingly, because of that changeover and the fact that retailers are allowed to sell higher-potency edibles produced in 2017 until July, Korova had a banner sales month in December. Gerlach said his company produced and sold roughly 40,000 of his 1,000-milligram brownies just to meet demand in December. On the other hand, Korova’s retail accounts have decreased by about 20% because many dispensaries either aren’t yet licensed or aren’t getting permits. Korova is branching out into flower. The company will offer a new line of branded strains that are expected to hit the market in mid-January, Gerlach said. “We’re just trying to broaden our horizons,” he added. Perhaps it was appropriate that there was a low-level earthquake in the San Francisco Bay Area last Thursday morning. 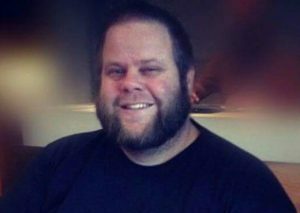 Locals and visitors – including this reporter – were shaken awake at 2:39 a.m. PT by a 4.4 magnitude quake. That was just a few short hours before the foundation of the newly launched recreational marijuana industry in California was also thrown into turmoil, by U.S. Attorney General Jeff Sessions. That morning, Sessions announced the revocation of a key marijuana-protecting memo issued by the Department of Justice under President Barack Obama. Business has continued largely as normal for those in the still-transitioning California cannabis market since Sessions’ announcement. But nobody wants to talk about Sessions. At least, not on the record. “You want to talk about Sessions?” one grower asked me warily during a phone call in which I was requesting a meeting to talk about how business was going. One insider said the climate in California since the attorney general’s announcement feels as if colleagues are experiencing flashbacks to law enforcement’s cannabis raids of yesteryear – even though most dispensaries and other types of marijuana businesses have been relatively untouched in recent years. What’s apparent is that few executives – no matter whether they’re licensed – want to talk about Sessions because they don’t want to become targets. “Three and a half years ago, prison was not out of the question,” said Bloom Farms CEO Michael Ray, remembering the risk involved in the state’s marijuana industry not all that long ago. We voted pot in many states, still issues. Although, fact is until mj is rescheduled out of the same category as opiates.